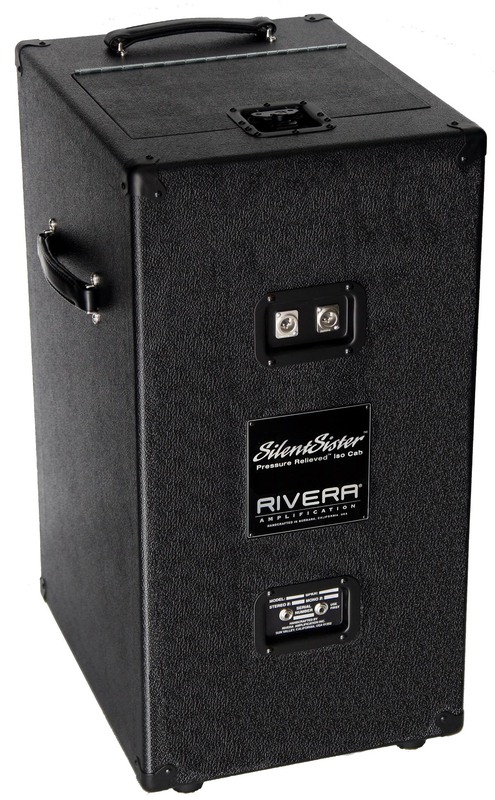 The Rivera Silent Sister Isolation Cabinet is the only natural sounding Iso on the planet! Now you can crank up your amp quietly while recording at home or using live while keeping your stage volumes quiet. Our exclusive "Expansion Chamber" will give you the natural sound of a miked cabinet in an open air environment. One of the greatest challenges to home and studio recording is how to get a great amplified guitar tone at a low level. 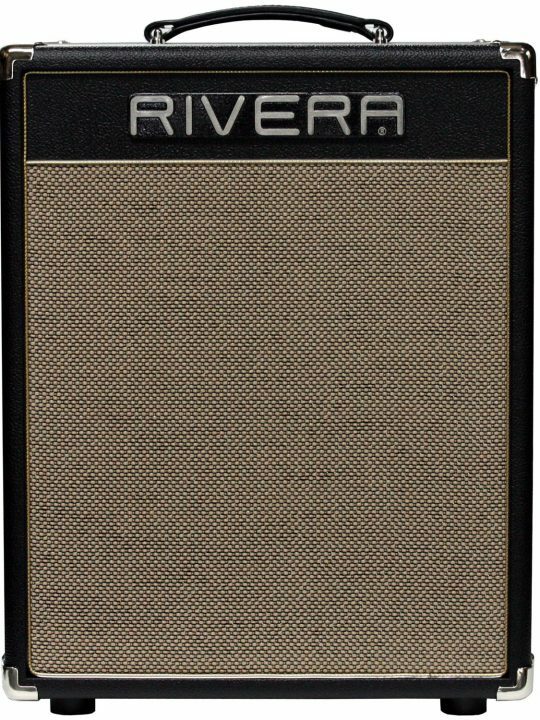 Introducing the Rivera SilentSister™ recording speaker cabinet. 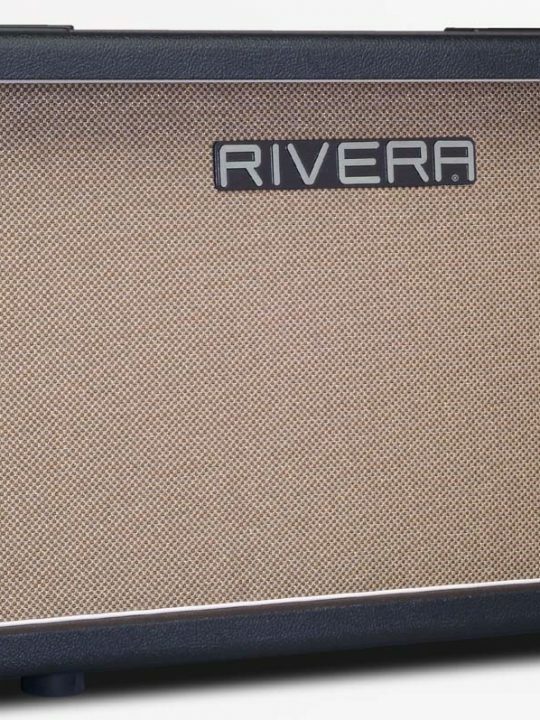 With the new Rivera Silent Sister, we solved the major faults of all of the other Iso Cabs in existence today. First off, they all have the microphone residing in a sealed compartment with the sound pressure from the speaker moving the microphone diaphragm like a plunger sucking water in a sink with a clogged pipe. 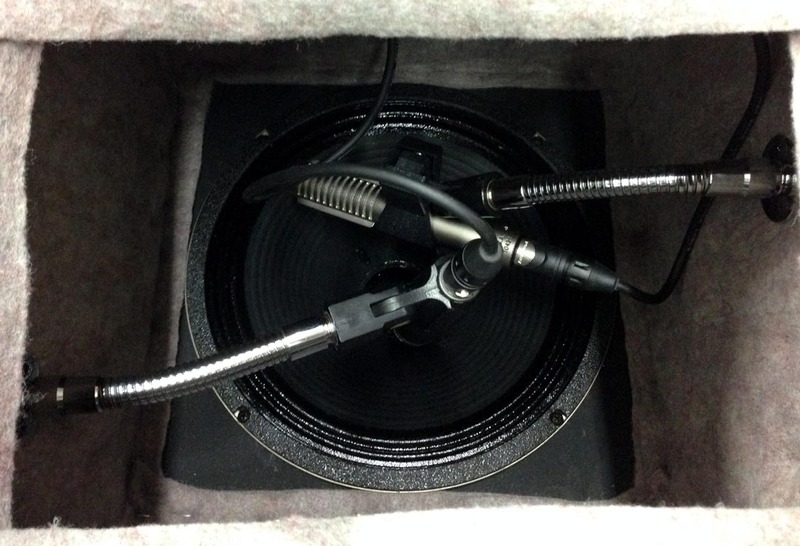 Instead of the microphone diaphragm existing in a free air environ, it is severely distorted physically in this sealed compartment-with the result that the recorded tone sounds terrible. 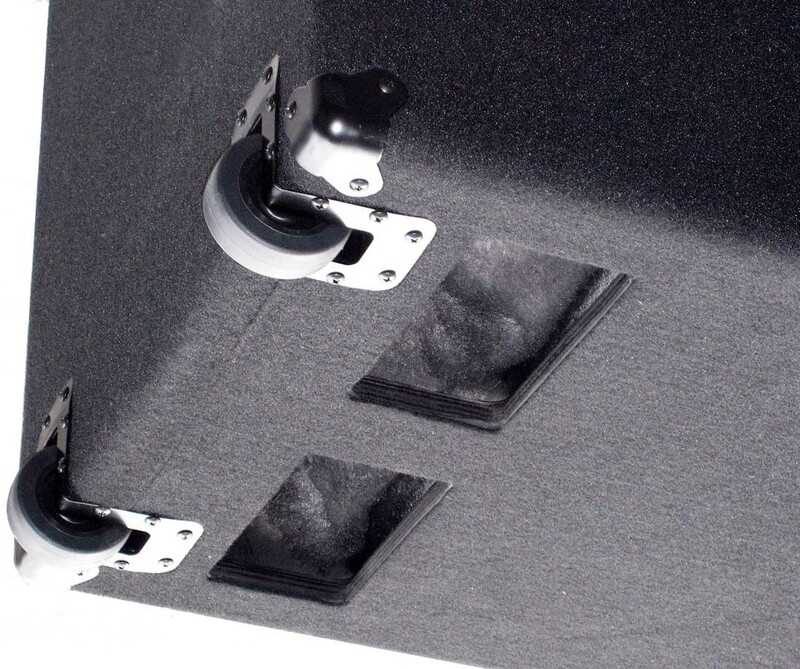 Secondly, the speaker feeds into this sealed compartment, as well as being mounted with the back of the cone in a sealed compartment. This means the speaker cone is pushing into an air wall, as well as pulling back into an air wall. 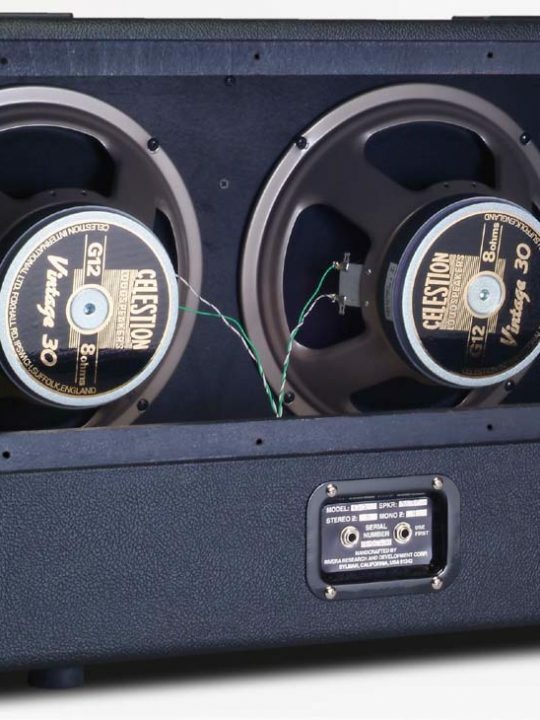 The result is a severe distortion of the cone shape, heat builds up in the voice coil as the motive energy cannot be released, and all of this results in a short life for the speaker as well as dreadful tone and a non-linear frequency response. Thirdly, is the square and perpendicular angles of the internal surfaces that create substantial standing wave issues that are reflected into the sound that is recorded. All in all, there is much to improve upon. 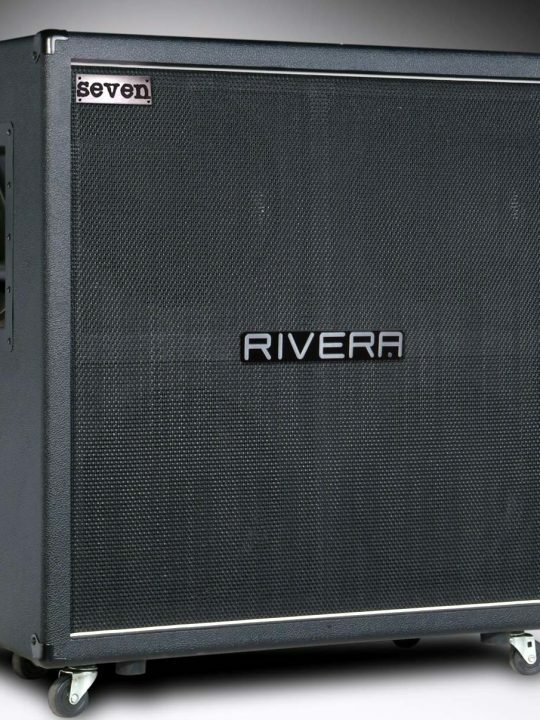 Rivera® devised a way to relieve the air pressure issue by building an air labyrinth into the rear of the SilentSister™ cabinet. This labor intensive solution substantially attenuates the sound level while relieving the sealed compartment air pressure drawbacks. Also, each of the angles of the panels inside of the SilentSister™ are critically designed to relieve standing waves and reflections. 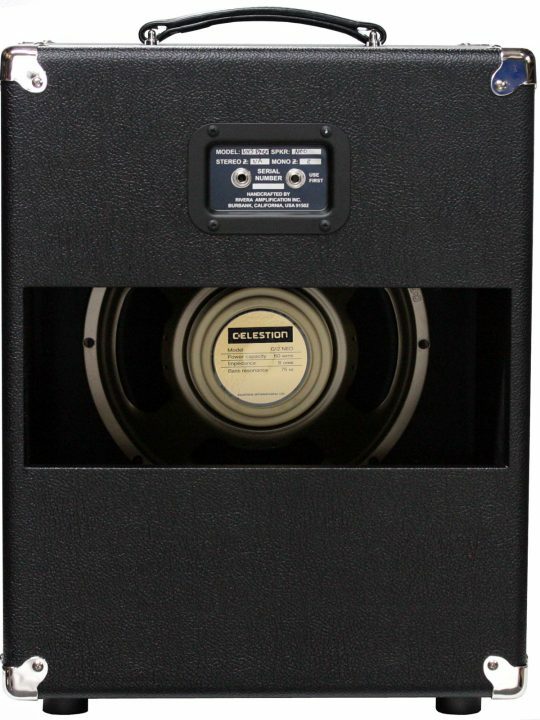 Bottom line is a fabulous tone, like having a great sounding speaker cabinet in free air, with the advantage of high attenuation of external sound pressure levels, and easy microphone placement. Above: comes with two goose necks so you can blend your favorite mics. Pressure escapes from the top and out the bottom of the cabinet. 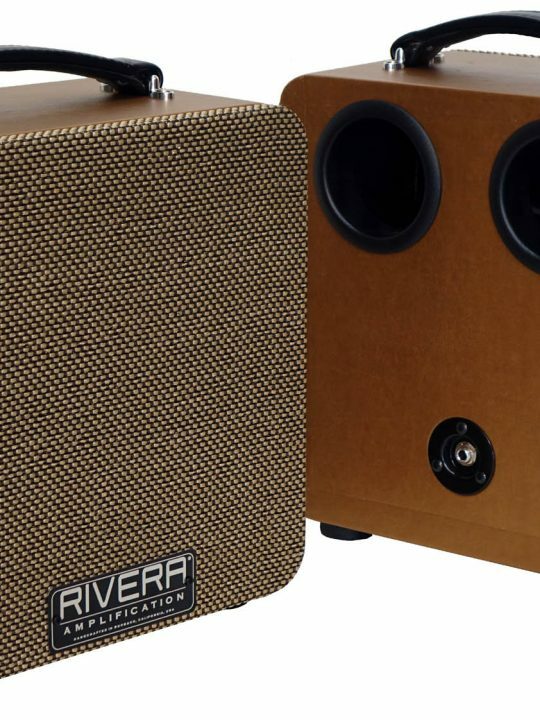 Rivera SilentSister™ cabinets come standard with two pre-wired microphone goosenecks that have a panel fitted with two Neutrik® XLR connectors on the back of the cabinet for easy signal connection. 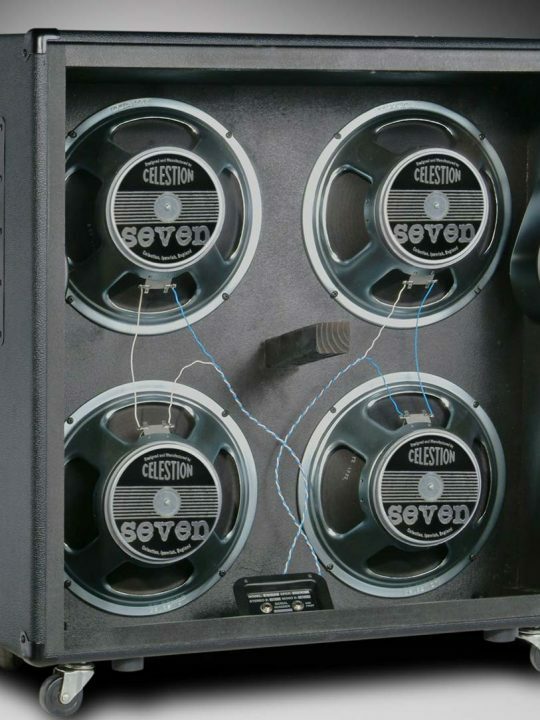 We also fit a Celestion G12T-75 speaker (8 Ohm) as standard (Vintage 30, Celestion K100, G12H-30 also available), and it is pre-wired into a jack panel at the back of the cabinet as well. Ruggedly built with hardwood-core plywood and finished in black Nyflex™ carpet for years of road abuse. We also have fitted built-in casters for easy transport. Also, the door is top mounted to allow for easy mic-placement. Above: Mounted wheels allow for easy transport. Note the pressure relief openings on the bottom. Perfect for home and studio recording, churches, pubs, night clubs and café’s-or anywhere you need to reduce the on-stage level and put it through the PA system or record.